Welcome to Day 4! If you haven't read about the giveaway and the rules, click here. 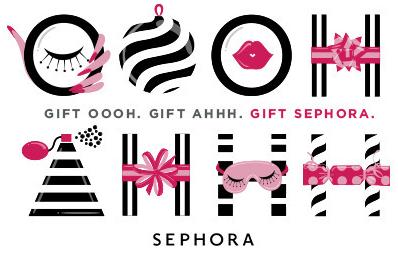 Day 5's giveaway prize is a $25 gift certificate to Sephora! Fill out the Rafflecopter widget below to enter! And check back tomorrow for the reveal of the China Glaze prize! love to see one hard to find older ChG! I'd be happy for whatever! thank you for the chance. I LOVE ANYTHING from China Glaze! I love their glitter polishes! I love all China Glaze!! Anything would be amazing! Perhaps some of their amazing microglitters? It'd be cool to see some ChG from the All Aboard or Holiday collex. World peace! Or Chris Hemsworth! Anything from the All Aboard collection. The Giver collection would be really cool!